LOCATION, LOCATION, LOCATION Beautiful home 3-bedroom 2 bathrooms with laminate and tile flooring, vaulted ceilings and a wood fireplace to keep you warm during winter. The Kitchen has a nice breakfast nook to enjoy your mornings. 20 owned solar panels installed in 2017, enjoy your summers without guilt when using AC, with rising electricity bill, get this house with guaranteed energy savings. The Yard is beautifully landscaped with 10 fruits trees that fruit almost year around. 3 large raised beds so you can grow your own food and never buy produce again. 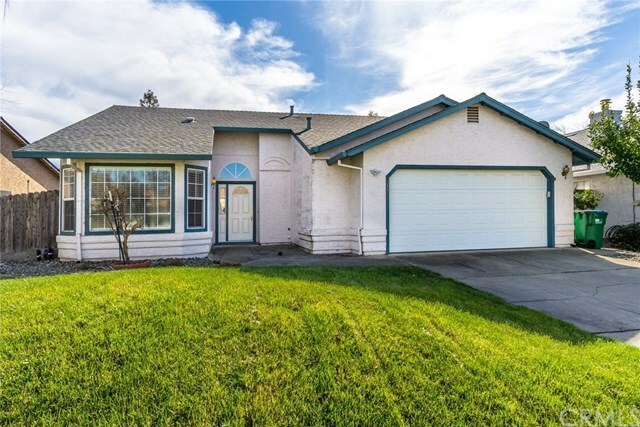 This home is in Chicoâs desired neighborhood near everything! The mall, shopping, schools, bike path to Bidwell park, soon to be Meriam parks sustainable walking community. Donât miss out on this magnificent home.